Lady Wonder makes a strong plea in song during her performance at Klassic Russo tent, City Hall, Port of Spain on Thursday night. 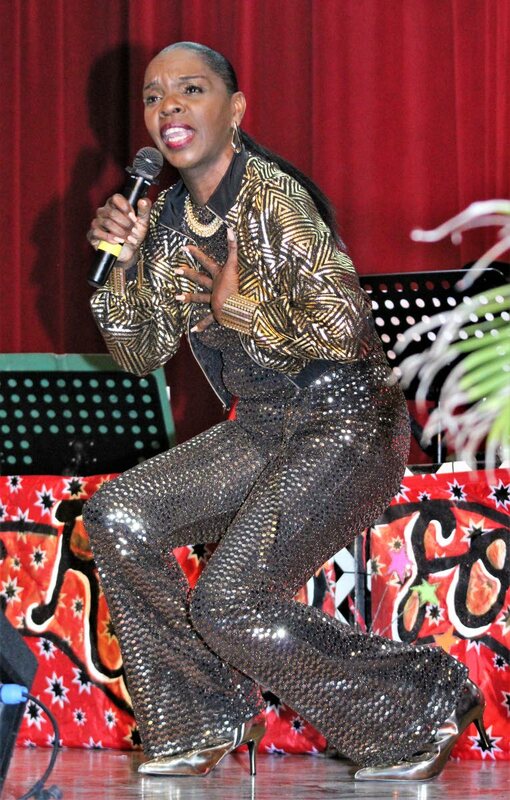 “Don’t ever take your Carnival for granted,” Trinbago Unified Calypsonian Organisation (Tuco) president Lutalo "Brother Resistance" Masimba told an audience at the 2019 opening of Klassic Ruso Calypso Tent at City Hall, Port of Spain last Thursday evening. Referring to Mayor Joel Martinez’s idea of making Port of Spain a Unesco City of Music, Masimba said, “We built this city on calypso sometimes some people forget that, they come with their data and ask why we looking for handout. Why we can't make the tent make money? And different things. Masimba said Tuco was approached to be a part of the lobby and they accepted because the organisation was always in the forefront when it came to putting calypso on the world stage. Masimba also spoke about the UNDP support for Intangible Cultural Heritage dating back 10 years ago. “We at Tuco replied to the UN about the support for calypso and were having conversations until the Government of Trinidad and Tobago told us we were not suppose to be having that level of conversation with the UN. That is a government business," he said. Talking about the recent murder of calypsonian Revealer (Patrick Lewis), a member of Klassic Ruso, Masimba said, “It’s really is not about data and administrative business. Revealer came out of the state institution some years ago with a song in his heart. 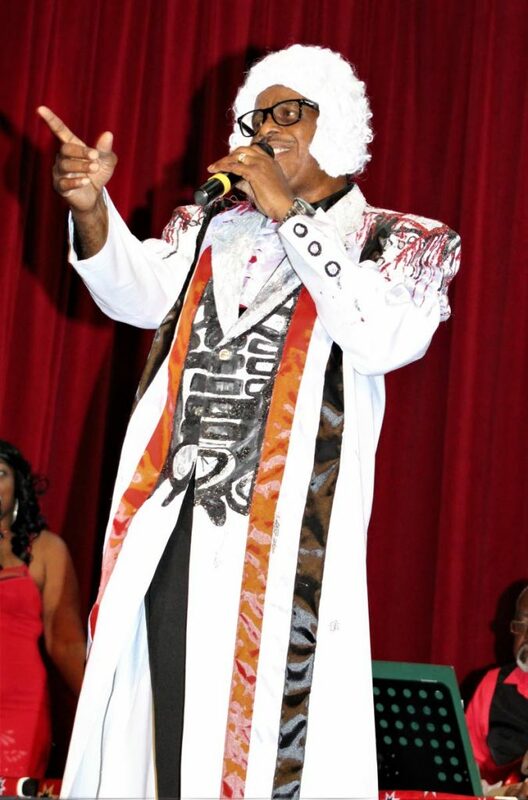 Klassic Ruso honoured Contender (Mark John) for his 53 years in calypso and when it came to the evening’s programme, patrons heard a variety of topics which made for good entertainment. The cast is a good mix of experience and youth but lack the presence of female singers, except for the Hendrickson sisters. All Rounder (Punsin), Brian London (Who to Call) a song about Police Commissioner Gary Griffith, Shirlane Hendrickson (Post and Position), Dr Will B (The Reality), Lady Wonder, (Am Sorry), Kaiso Mac (Is We) and Hamidullah (Care giver) were some of the entertaining songs. The music and melodies for most of the songs were outstanding and the Klassic Ruso Orchestra did a great job on a very good sound system. The management of the tent should take note of the duration of the show as people started leaving long before the intermission which took place at 11.25 pm. MC Shirlane Hendrickson kept the audience entertained throughout the evening with her wit and humour. Reply to "Carnival more than money"